Marc “The Hoover“ De Reuver has won the MX1 class at the Grand Prix of Italy, as Tony Cairoli stamped his authority on the MX2 title race in Italy at the weekend. Antonio Cairoli was an early victim of a mishap in the first MX2 moto, dropping his Red Bull Yamaha on the very first lap, but a spirited fight back through the pack brought Super Tony all the way back into fourth position at the chequered flag. Up front, it was all about Nicolas Aubin and Tommy Searle. Aubin brought his Yamaha around first at the end of lap one, but Searle managed to take the lead straight after. This two-horse race went all the way to the wire, with Frenchman Aubin grabbing the lead with five laps to go, ultimately crossing the finishing line less than a second ahead of Searle’s KTM, with Tyla Rattray a distant third. Moto two was a different matter, however as Cairoli got the start and just cleared off, making a bit of space and actively managing it to take a comfortable win ahead of Rattray. 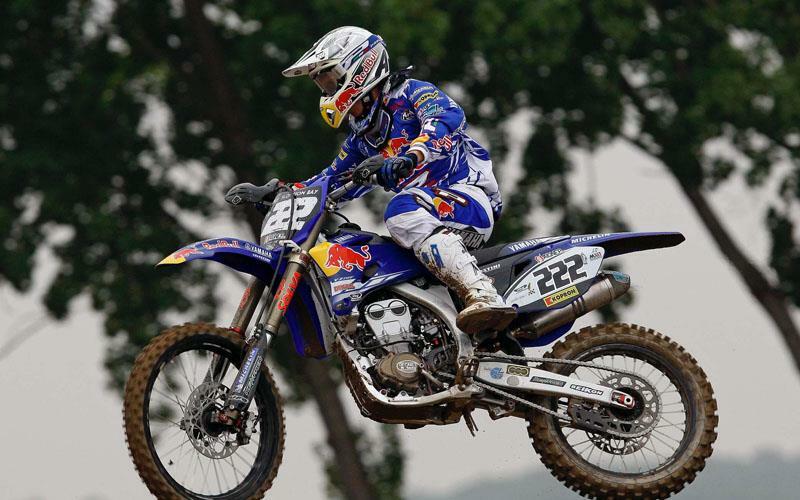 Searle came home third ahead of fellow Brit Shaun Simpson in a very close Grand Prix. Tony Cairoli would take the overall by just a point from Rattray and Searle, tied in second with the South African Rattray taking second due to his better race two finish. Stephen Sword had a torrid time, logging a sixth in moto one before DNF’ing moto two, which allows the surprising Simpson into sixth place in the championship standings. At the top of the table, it’s a three-horse battle between Cairoli, Rattray and Searle. In MX1, Sebastian Pourcel led race one from start to finish, in the same week that his younger brother Christophe rode a bike for the first time ninth months after his horrendous crash in Ireland last year. But all the action surrounded championship leader David Philippaerts - the Italian copied Cairoli by dropping his Monster Energy Yamaha early on, and staged a similarly-spirited fight back through the field, making his way back through to fifth by the flag. Billy Mackenzie staged a less than auspicious build-up to his home Grand Prix at Mallory Park next month by falling off the island whilst in third, although the Scot remounted to score points for ninth. Pre-season title favorite Josh Coppins holeshot moto two, but was soon deposed by Max Nagl and Philippearts while for Nagl, it was the beginning of a run to a glorious moto win, whereas for Philippaerts it signalled an extension to his championship lead.